So, you know how to land this thing, right? 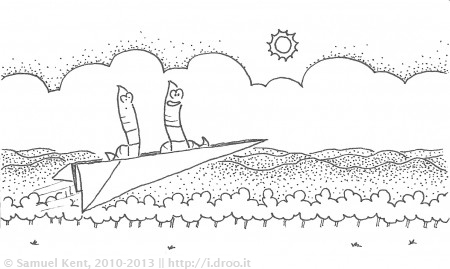 Sometimes, I just want to draw worms. That’s all that inspired this one. I actually did Toph’s first today. He likes the worms, whereas Andrew relegates them to the “gross” pile.